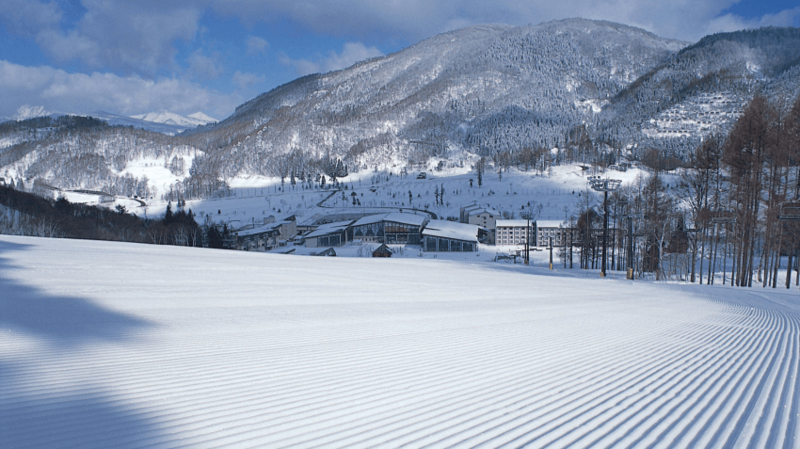 Tangram is a great family resort and is also great for beginners and intermediate skiers and snowboarders. The resort is reasonably small but it neighbours with Madarao resort and a joint ticket can be purchased. This then opens the whole mountain for some amazing skiing and boarding. On clear days, you can get outstanding views of Lake Nojiri and Mt Myoko from the top of the resort. The resort is well equipped for children and has a playground and nursery facilities. This makes it amazing for families as parents can leave their children with the nursery staff and everybody can have a great day. 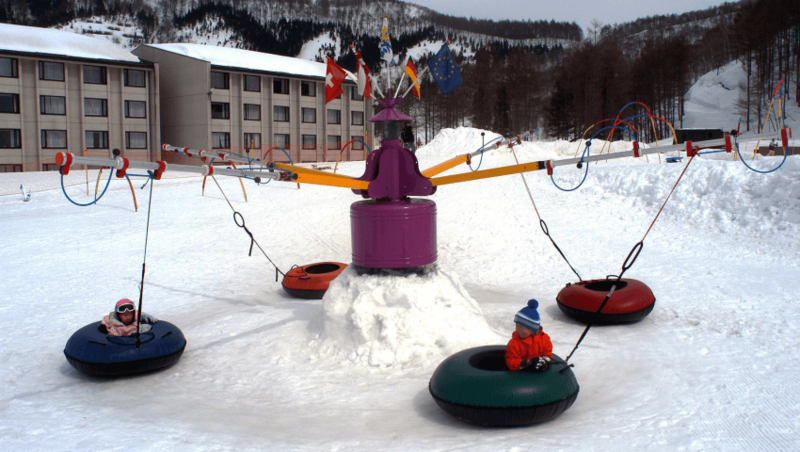 Tangram also offers snowmobiling and snow rafting. From Akakura you can use the ski resort shuttles to head direct to the resort. Note that there is only one shuttle in the morning and again in the evening. The local taxi company also heads to any resort and can pick you up direct from your hotel. You can ask the front desk to book the taxi for you.